Make your wishes come true with the new Cadbury Dairy Milk Wish Pack. Brand Equity has ranked Cadbury Dairy Milk as the 3rd Most Trusted Brand in the country. We're thrilled to be your most trusted chocolate. Thank you for the love Bite into the Cadbury Dairy Milk Crispello for crispy sounds and chocolaty joys find code and sms to get a chance to win LED TVs, laptops and smartphones worth ₹1 lakh every day. 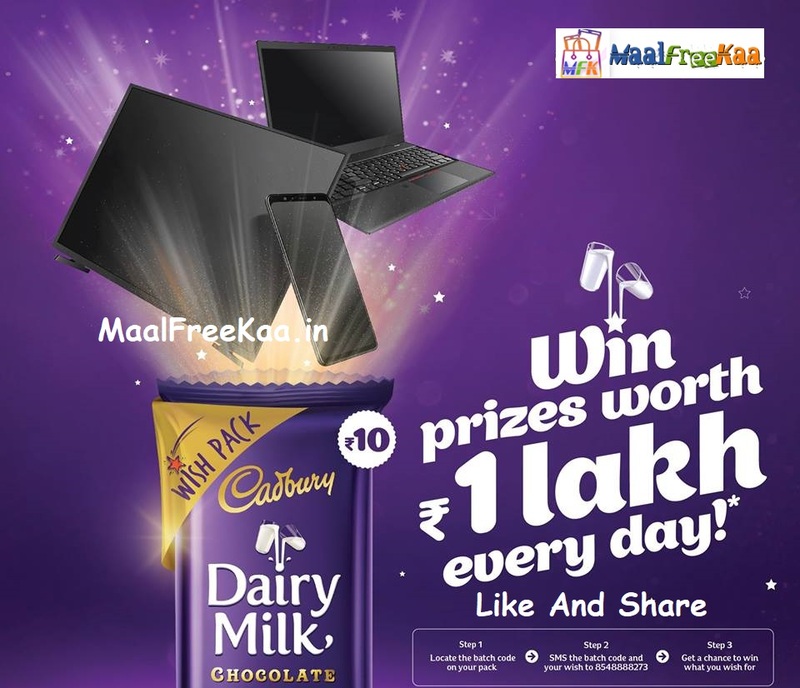 Buy Dairy Milk Wish pack worth Rs 10. Any Participant can participate in the Campaign a maximum of 10 times per week from a mobile number through SMS during the Campaign Period participate now to win amazing prizes daily. 2. Find Pack Code Inside "Gift Code"
4. If you are found eligible as per the terms & conditions and are a shortlisted winner, you will receive a call to confirm your details.